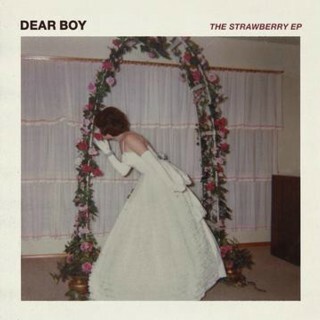 Dear Boy could be the love-child of Creation Records & Factory Records in 2019, but instead, the four band members and real life friends (vocalist Ben Grey, guitarist Austin Hayman, drummer Keith Cooper, and bassist Lucy Lawrence) have made something that is deeply personal, while celebrating their city and challenging the direction of modern guitar music. Along with a wildly devoted fan base, the band has inspired the respect of fellow artists, so it should come as no surprise that The Strawberry EP features appearances by their friends Day Wave, Hazel English and Patrick Spurgeon of Rogue Wave. The EP showcases their ability to craft bittersweet songs pulling from late 70's / early 80's Post-Punk and early 90's Britpop, large enough for arenas, but intimate enough to be with you during your most private moments.